It's striking, regal, moody, even a bit dangerousand that's just the cover. 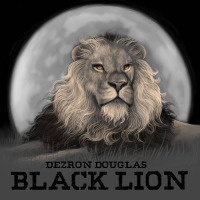 Whatever statement Dezron Douglas is making with the name of this EP (also shared by the freshly formed sextet behind it), it's probably one with layers of meaning and history. As you might expect from someone versatile enough to be among New York City's most in-demand bassists, those qualities are only part of an impressively eclectic range. Cue up the EP itself and you can also add hip, funky and smart. The opening "Soulris" sounds like a mission statement in itself, briefly showcasing a supple touch on the double bass before kicking things into gear. This one mixes late-night cool and a jarring clash of semi-avant-garde horns before Willerm Dellisfort 's piano starts bringing the bop. The pieces get more straightforward from there, though no less brash or colorful. The next couple bounce on snazzy horn lines and (of course) a punchy solid low end, slotting everyone and their instrument into place like meshing gears in a purring engine. At the same time there's room to make reggae and toe-tapping swing also seem like natural partners in the mix. Capping off after barely half an hour, Black Lion feels sort of like a first early club set that's a bit incomplete without others to follow. Still, the concise set packs a fun enough punch to leave both band and listeners excited for more. Track Listing: Soulris; Negroidus Maximum; Bottoms Out; Alexis; Great Provider; Uhuru Vibration. 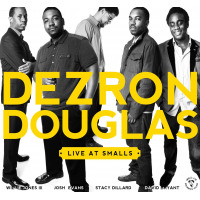 Personnel: Dezron Douglas: acoustic bass, electric bass (4, 5); Stacy Dillard: tenor saxophone; Lummie Spann: alto saxophone; Josh Evans: trumpet; Willerm Delisfort: piano/organ (1, 4, 5); David Bryant: piano (2, 3, 6); Jeremy "Bean" Clemons: drums.